How does hacking work, and more important, how can you protect yourself against it? 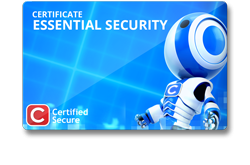 The Essential Security certification offers you a practical introduction in the world of application and server security. The exciting challenges teach you the basics of SQL Injection and Path Traversal. This certification ensures you understand the hacker mindset and the vulnerabilities SQL Injection and Path Traversal. 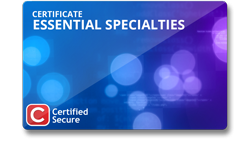 The Essential Specialties certification is the sequel to Essential Security. The multiple challenges push your SQL Injection and Path Traversal skills to the limit. You will obtain the Essential Specialties certification by completing all three examination challenges. If you want to proceed with Security Specialist you need a score of 33%. In that case one of the examination challenges will do.